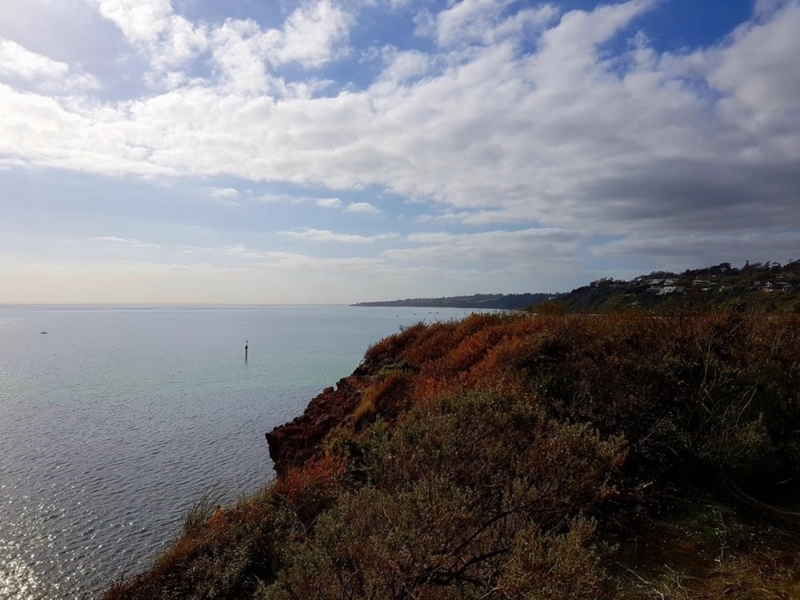 Mornington is a beautiful beach town with so much to offer, and this walk encompasses it all! 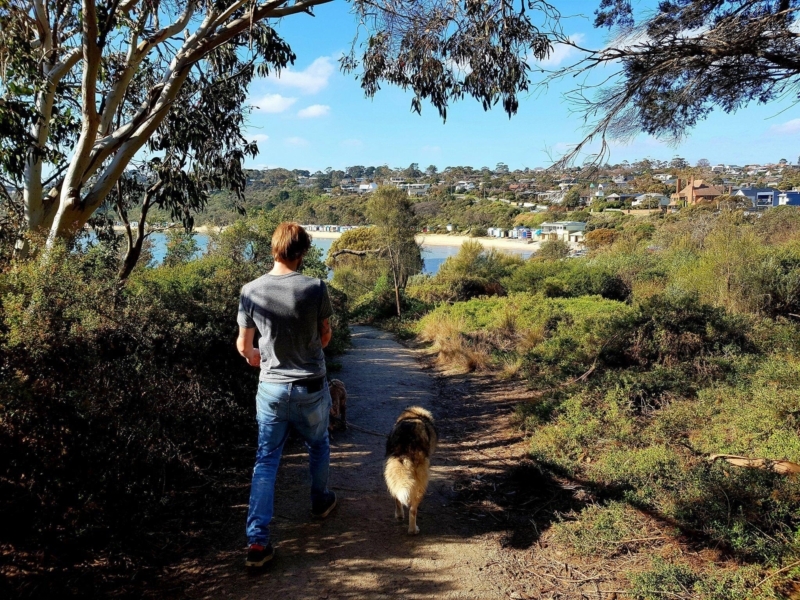 Beautiful views, great places to eat and drink, history and of course, a gorgeous leash free beach! The first section of this walk takes you along a dirt track, surrounding you with trees and shrubbery. As you walk along you will discover little paths leading off to your right that take you to several different look-out points along the way. It’s worth checking them all out, as each one offers different views across the bay. 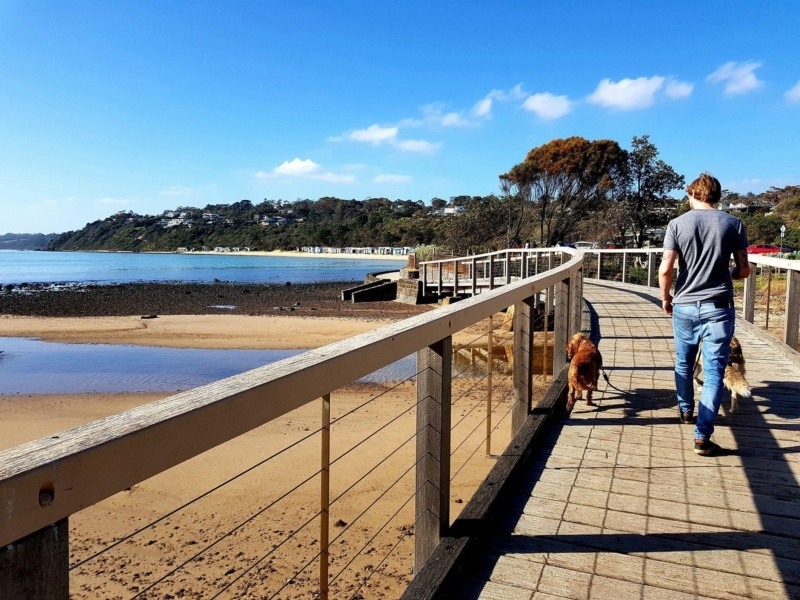 As you continue on, the path will lead you down to Mothers Beach – a lovely golden sandy beach with many quirky boat houses for you to ponder over along the way. A particular favourite of mine is one of the first ones and includes a huge anchor on its balcony. 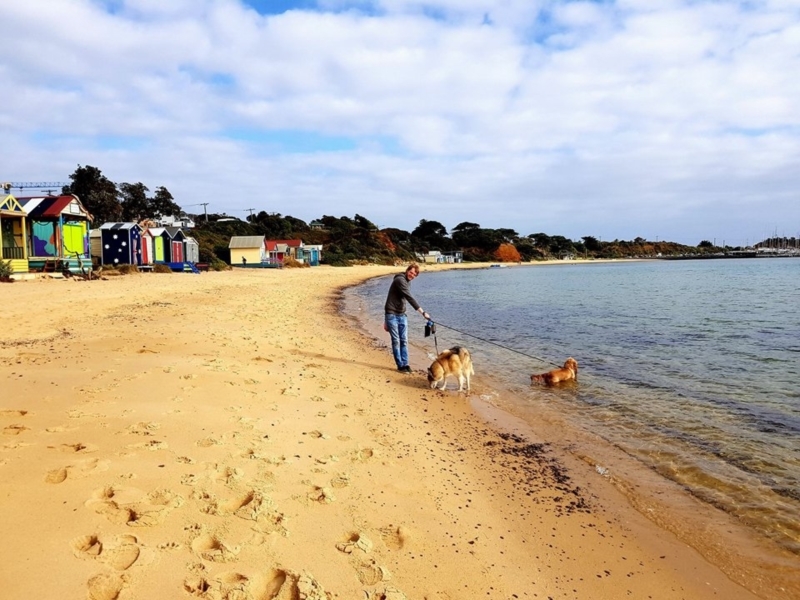 You can walk along this beach until you find yourself at Mornington Pier – here you will be surrounded by yachts of every size and colour and will walk past a few eateries. If you have a dog with you then this will be your favourite part of the walk (as it is mine!) as you make your way down to the Royal Beach leash free beach. This golden gem is a beautiful stretch of beach that has clear blue water, rock pools and hardly any other people there. The cliffs behind you make it easier to ensure you dogs don’t run off onto the roads as it is very closed in. 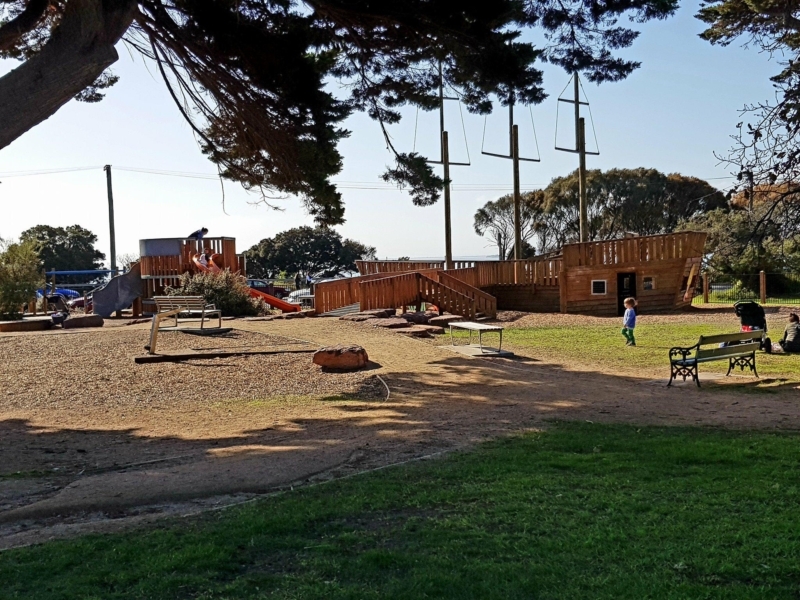 Take a stroll through Mornington Park, pausing to admire the Mathew Flinders statue and stopping at the playground (if you have kids, then beware: this playground is so great it may keep you here all day!). As you exit the park, make sure to take a stroll up the main street for some great independent shops, as well as for some good food and drinks. This walk also includes many historical events in history. 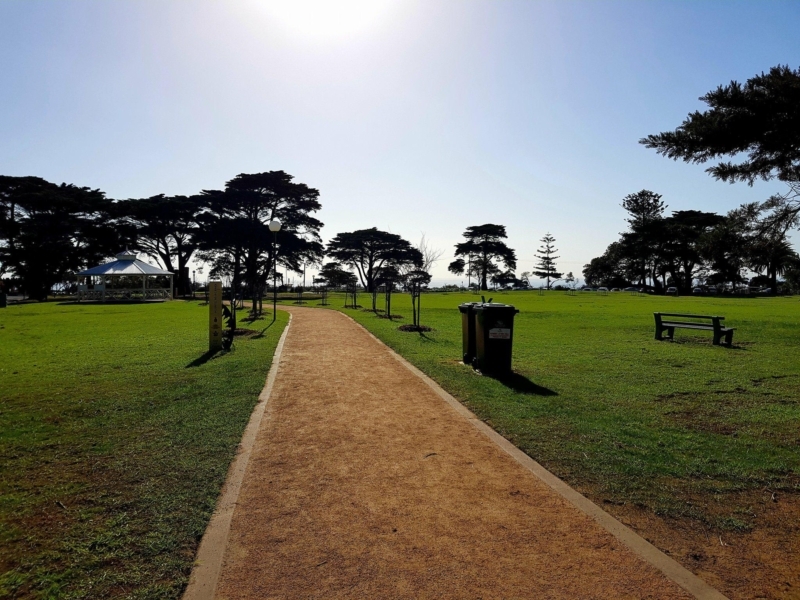 As well as the already mentioned Matthew Flinders statues and monuments, make sure to stop by and learn about the Mornington Football Club tragedy, as well as visiting the Mornington Museum which sits opposite Mornington Park. As you make you way back to your car, feel free to take either the track or the beach – they both offer great beach views! 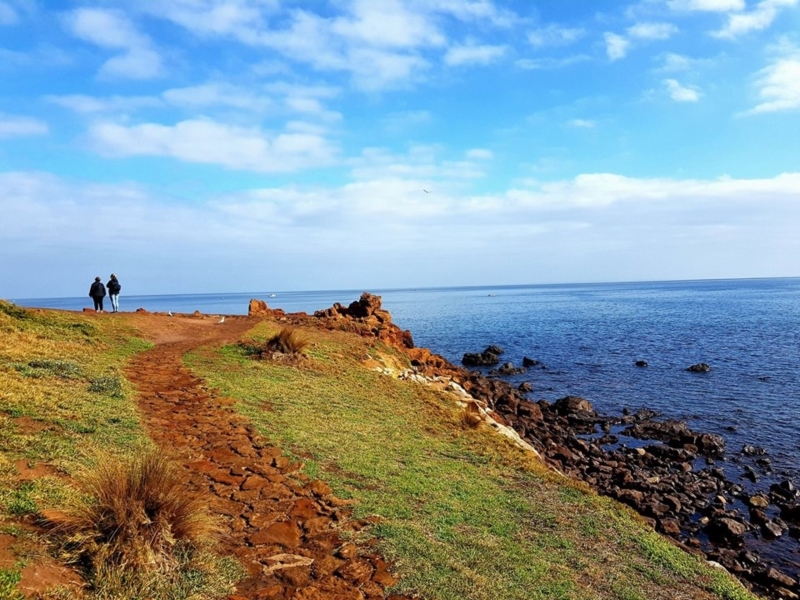 Tanti Creek marks the beginning and end of this walk, with beautiful views across this small stretch of beach. 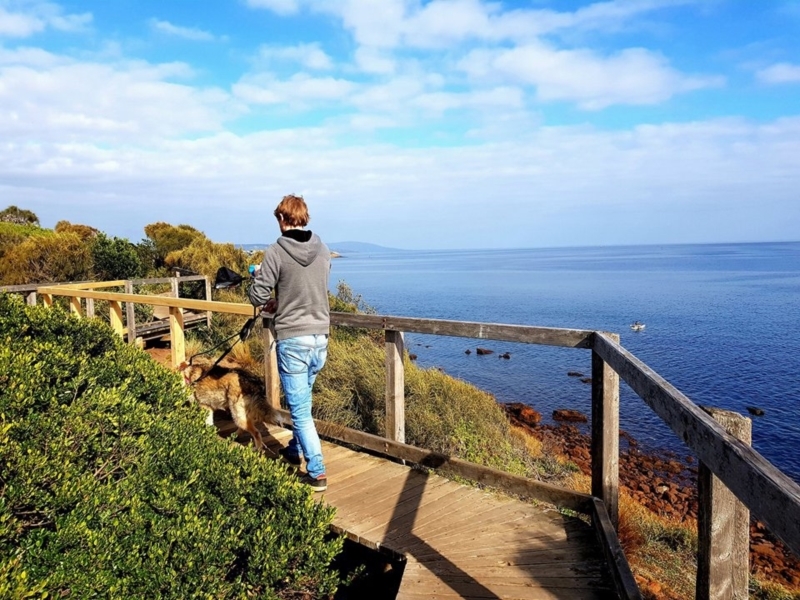 This is one of the many lookout points on this part of the track - with nothing but coastal views as far as the eye can see! 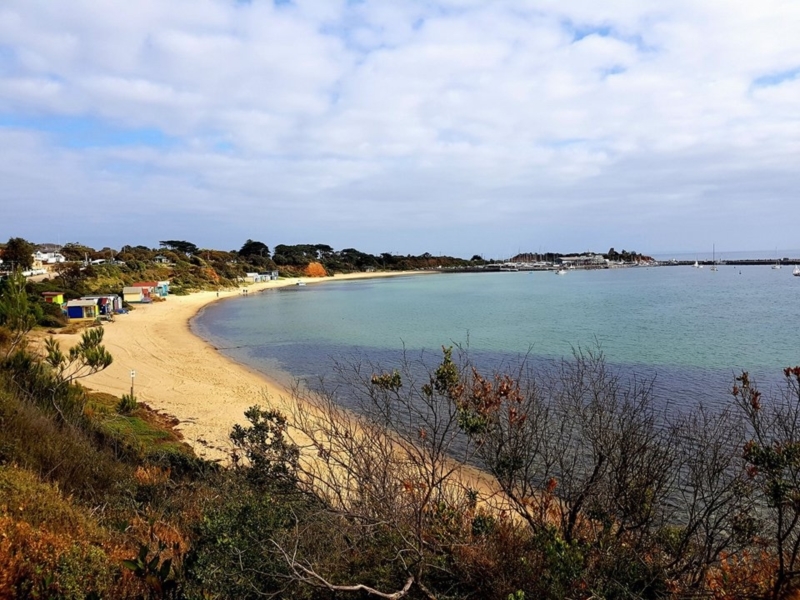 Welcome to Mothers Beach - a beautiful stretch of golden sand accompanied by some interesting boat houses (make sure to check them out!). If you're interested, this beach also has boats for hire. 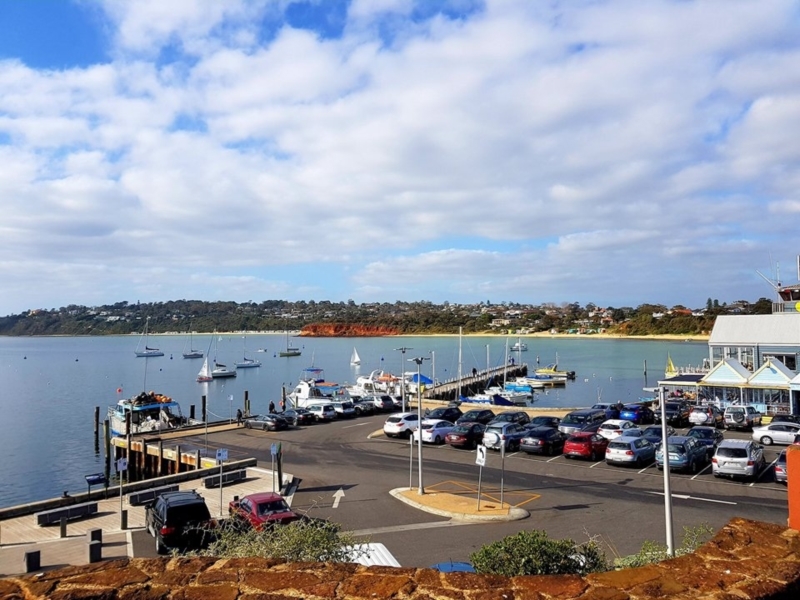 During summer this part of Mornington is packed - a popular tourist destination for boat hire, learning to sail, great food and drinks and of course, the beautiful view. 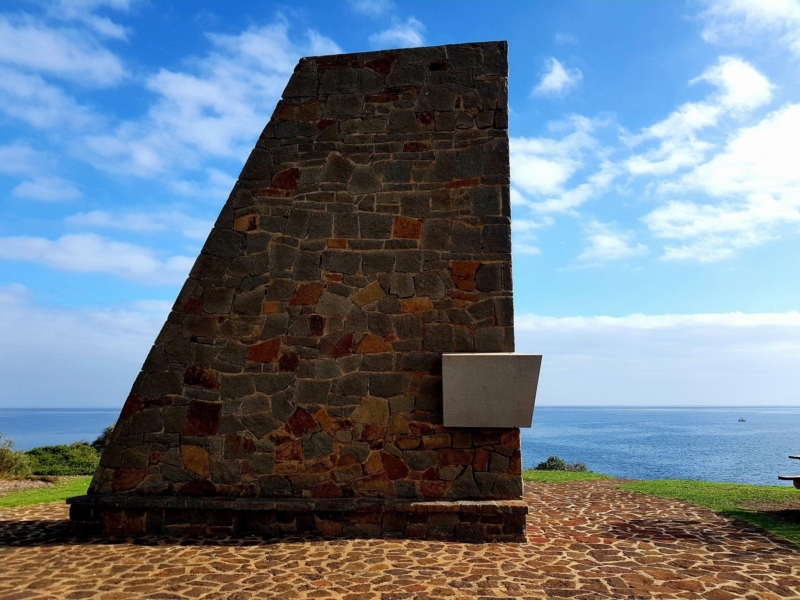 This monument was erected in 1952, to commemorate Matthew Flinders, a navigator who landed near Mornington in 1802. This part of the walk boasts the best views (in my opinion). Uninterrupted views, quiet, relaxing atmosphere and the smell of salty beach air! 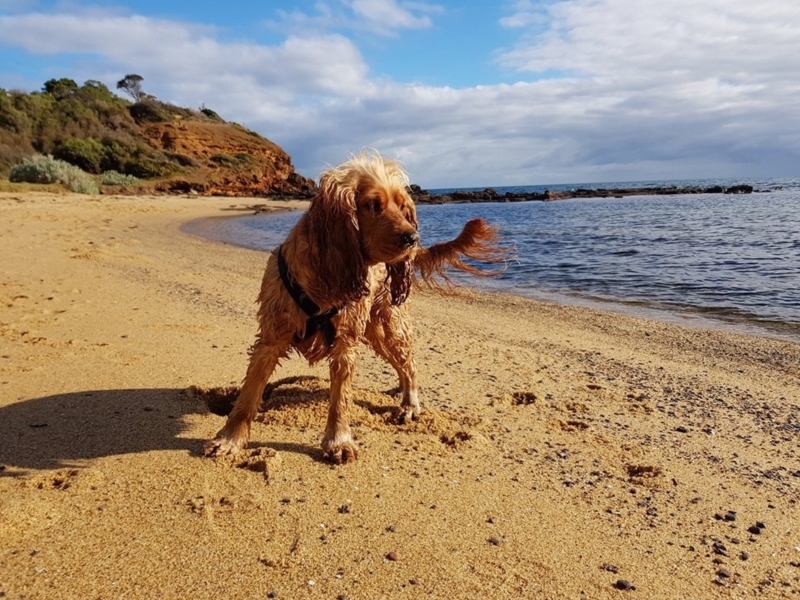 This dog beach is Mornington best kept secret - I hardly ever see another person. My dog loves running around, digging holes and having a swim! 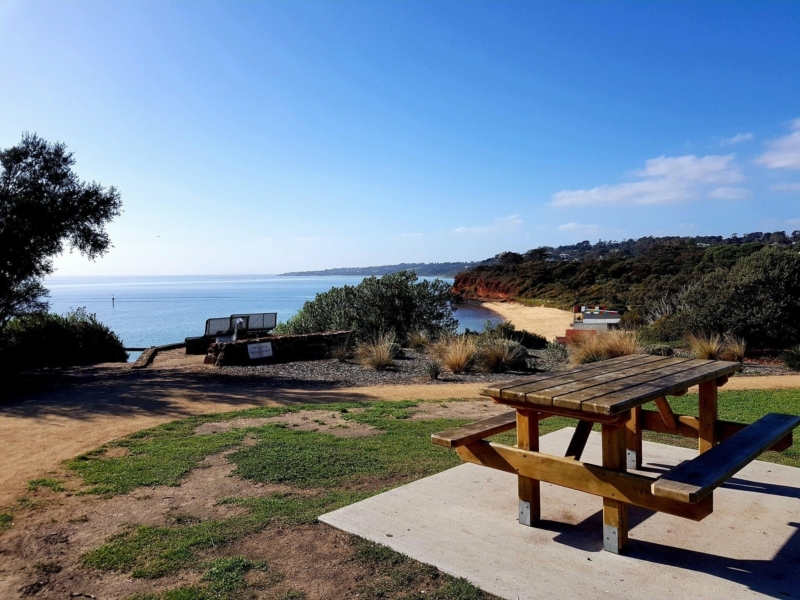 Mornington Park is a popular area, with so many different fitness classes run here during summer, many picnic and bbq spots, ocean views and of course, a beautiful playground. This playground will have your kids begging for you to never leave - with swing sets, slides and of course, a huge ship! 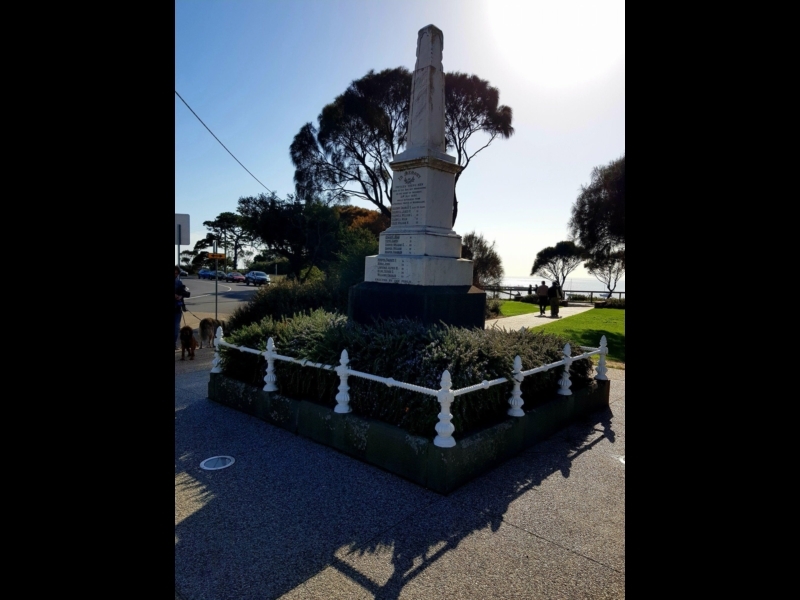 This memorial commemorates fifteen members of the Mornington Football Club who drowned in 1892 after a match against Mordialloc. On your way back, stop and catch your breath at this resting spot overlooking the bay before you make your way back to your car.